Slip Agent Provocateur's 'Fee' chemise over the 'Laurelie' bra and briefs if you prefer a little extra coverage - it's still sheer, so you'll be able to see the lingerie underneath. 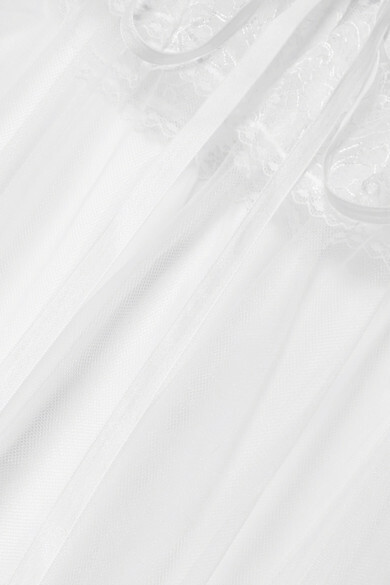 Cut from tulle in a floaty shape, it's trimmed with intricately woven lace along the hem and off-the-shoulder neckline. We think it's the perfect addition to a bridal trousseau. Shown here with: Agent Provocateur Bra, Agent Provocateur Briefs.